Matthew Primm received his bachelor's degree in music from Bob Jones University in 2007, where he studied under Jay-Martin Pinner. Past teachers include Mila Gilbody and Nora Smilovici. Matthew is a private instructor/freelance musician in the Charlotte area, and he currently teaches violin at MM School of Music in Waxhaw. 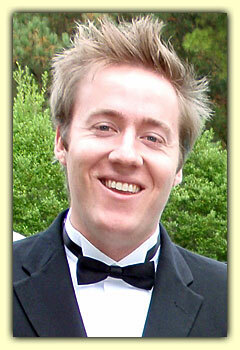 In addition to teaching, he has performed with the Charlotte Civic Orchestra and the Union Symphony Orchestra. When not teaching or performing music, he enjoys composition and reading.